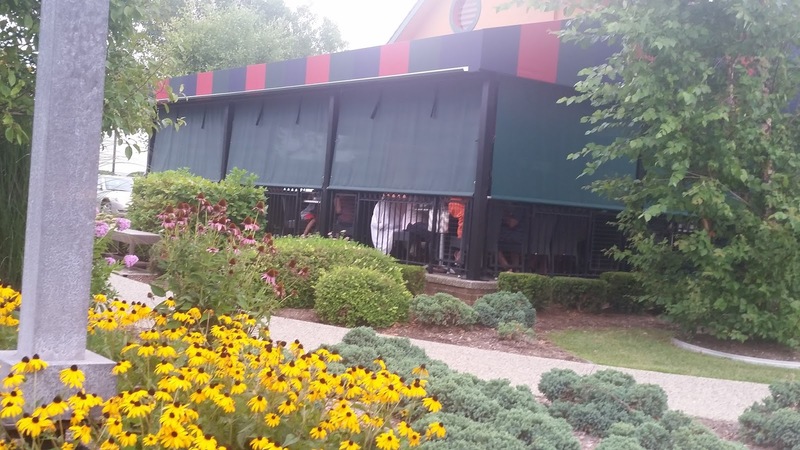 This edition of Excited about Eating spotlights a couple restaurants in Michigan, where we visited for a NASCAR race. 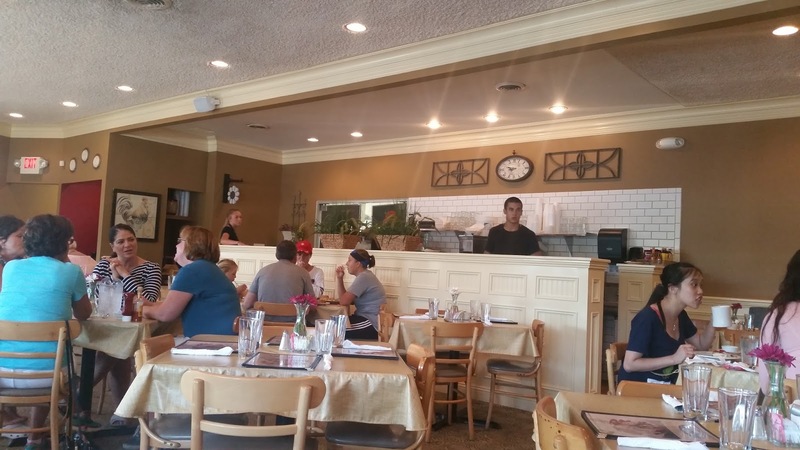 We discovered a gem, the Breakfast Club in Farmington Hills, a home town family restaurant serving up breakfast and lunch to the locals. I chose the Meat Lovers Bowl. 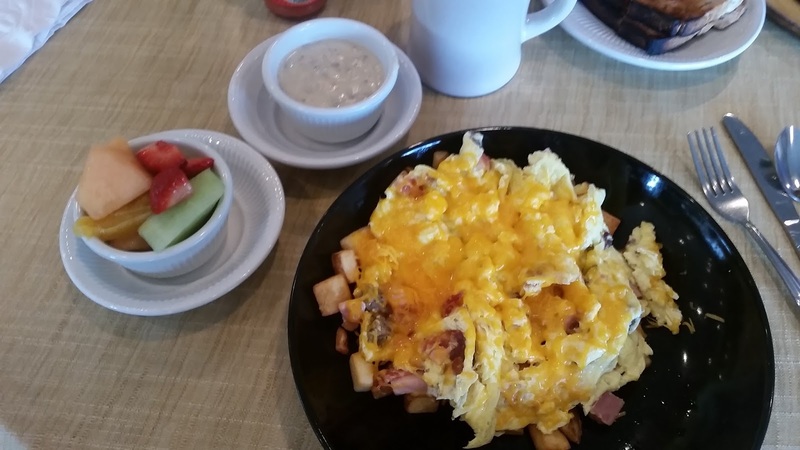 Sausage, bacon, ham, and eggs topped with cheese and served over diced potatoes with a side of sausage gravy and fresh fruit. This breakfast was great! Crispy potatoes, perfectly cooked poached eggs, and a hearty heaping of meat and cheese. I used the sausage gravy for dipping the crispy potatoes. Dora here. I ordered The Greasy Spoon. 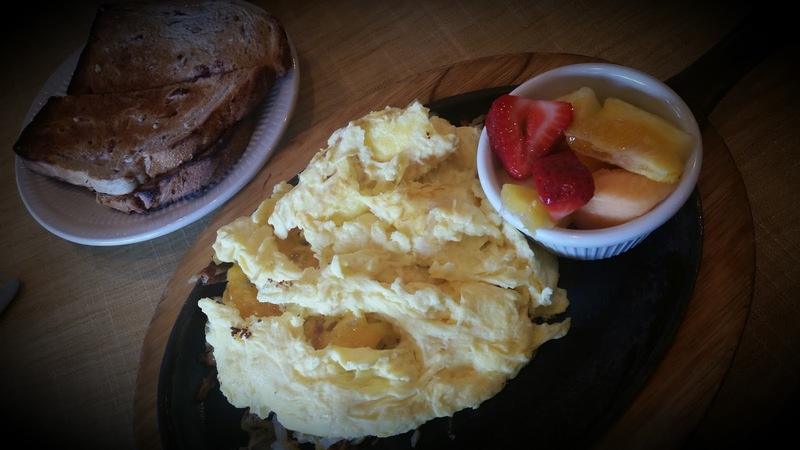 Hash browns, melted cheese, caramelized onions, topped with two eggs and served with toast and fresh fruit. Let me say I’m not a huge breakfast fan. I’m usually quite happy with a bowl of cereal. And this was so much food! Everything was tasty and filling, but I could’ve made a meal on the walnut cherry toast. Yowza! Crispy yet chewy, and buttery with bits of fruit and nuts. Delicious! Service was quick and friendly, and hubby’s late special order of a poached egg rather than scrambled didn’t upset. 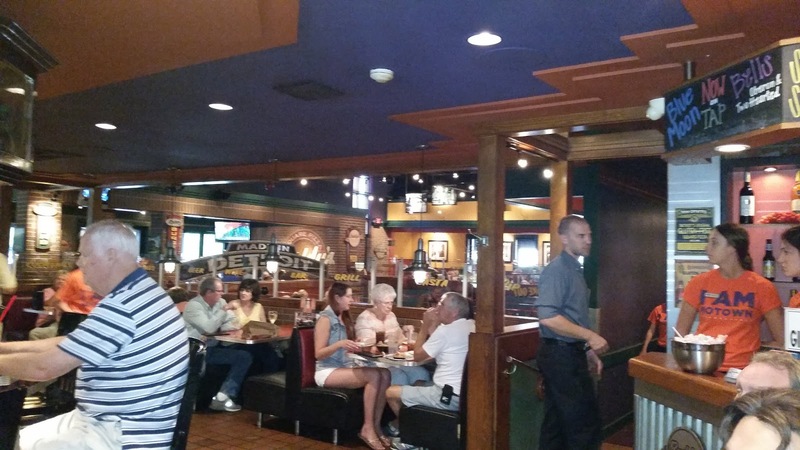 Actually, the waitress responded that they take care of their customers. 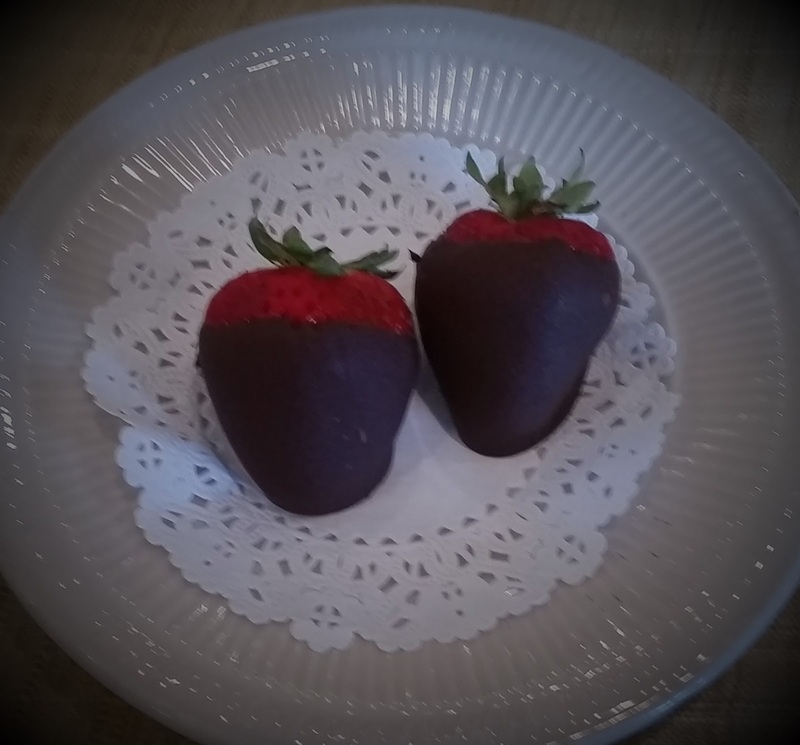 And that was obvious with the chocolate covered strawberries that come complimentary with the checks. YUM! What a sweet way to start the day. 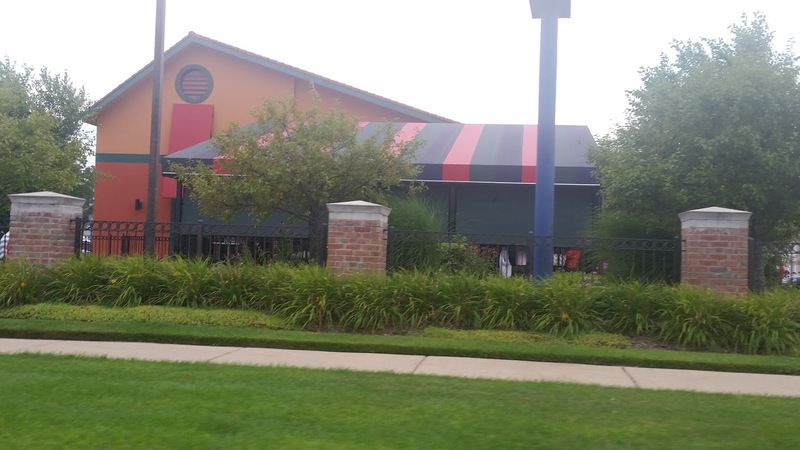 And we can certainly understand why this restaurant is a local favorite. The next day we scouted out a local pizza place. 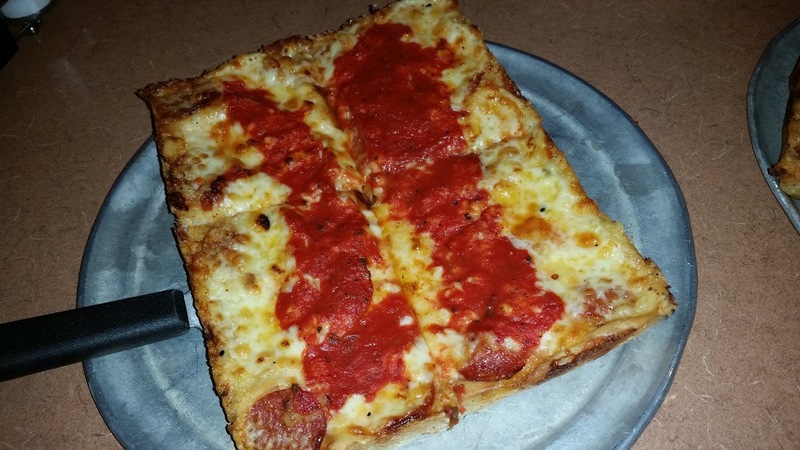 Buddy’s Pizza in Livonia, with their deep dish offerings, sounded right up our foodie alley. Be warned, though. Don’t wait until 7 PM on a Friday night and expect to get right in. This place was jammed! Their pizzas come in squares of 4 or 8. 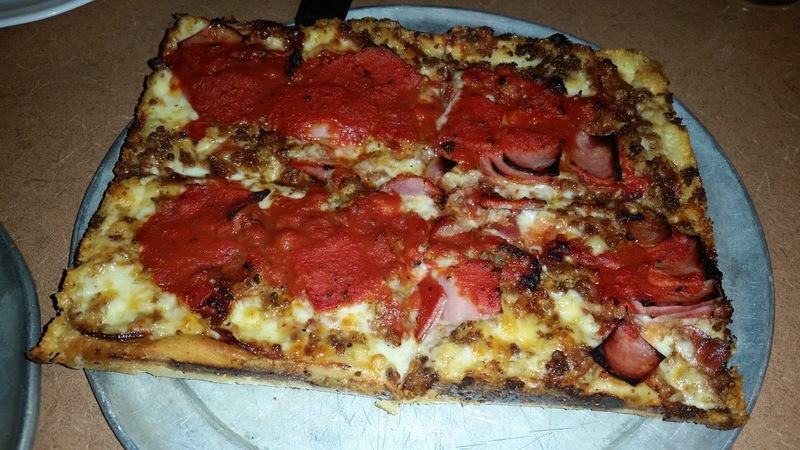 We opted for 2×4’s, a Meat Deluxe with pepperoni, Italian sausage, ham, bacon, and seasoned ground beef, and a Pepperoni. Both pizzas were outstanding, not greasy, and full of flavor. Dora here. I confess that I tend to be somewhat of a pizza snob. I don’t like pizzas smothered in sauce or cheese, and my fave is thick and doughy. These pies were not doughy, but crispy and not too cheesy or saucy. Surprisingly awesome, and I can definitely understand why they were packed! Slice out a wedge of time, though, because the pies took forevah! Tanya, poached eggs, my favorite also.